DETROIT — General Motors will lay off 14,700 factory and white-collar workers in North America and put five plants up for possible closure as it restructures to cut costs and focus more on autonomous and electric vehicles. The reduction includes 8,100 white-collar workers, some of whom will take buyouts and others who will be laid off. Most of the affected factories build cars that won’t be sold in the United States after next year. They could close or they could get different vehicles to build. They will be part of contract talks with the United Auto Workers union next year. More than 6,000 factory workers could lose jobs in the United States and Canada, although some could transfer to truck and SUV plants. GM, the largest automaker in the United States and includes the Chevrolet, Buick, Cadillac and GMC brands, said the moves will save $6 billion in cash by the end of next year, including $4.5 billion in recurring annual cost reductions and a $1.5 billion reduction in capital spending. Barra said GM still is hiring people with expertise in software and electric and autonomous vehicles, and many of those who will lose their jobs now are working on conventional cars with internal combustion engines. The factories up for possible closure are part of GM’s effort “to right-size our capacity for the realities of the marketplace,” as consumers shift from cars to trucks and SUVs. Barra said the company has invested in newer architectures for trucks and SUVs so it can cut capital spending while still raising investment in autonomous and electric vehicles. 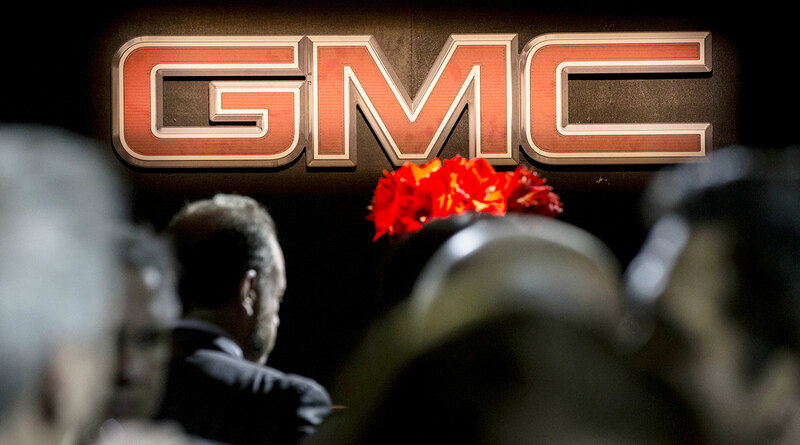 The salaried reductions amount to 15% of GM’s North American workforce out of 54,000. At the factories, 3,000 workers could lose jobs in Canada and an additional 3,600 in the United States. Some workers would transfer to truck and SUV plants where GM is increasing output, the company said. The company expects to take a pre-tax charge of $3 billion to $3.8 billion due to the actions, including up to $1.8 billion of asset write-downs and pension charges. The charges will take place in the fourth quarter of 2018 and the first quarter of next year.